This is a Guest Post by Simon, who is a Tech Writer. To start with, this post will list out some features of iPhone 4S which looks impressive at the outset and might tempt you to buy one for yourself. 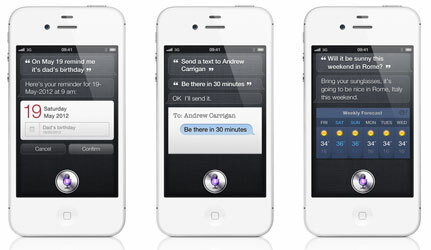 Siri is not deeply featured in this; as it has already created enough buzz and remains a stand-out feature of iOS 5. The iPhone 4S marks a resurgence for Apple’s once all-conquering smartphone. Plugging some of the gaps in the iPhone4, and updating its software ensuring it runs faster and more efficiently. But over the past twelve months Apple’s competitors have been releasing sleeker, speedier and more impressive smartphones. So does the new iPhone 4S put Apple back on top? 2011 has almost certainly been the year of the dual core processor. The iPhone 4, along with the HTC Desire HD ran with a 1GHz processor. In December 2010, the LG Optimus 2X was what the manufacturer described as the world’s first dual core smartphone. Apple was left behind as users flocked to Android. The Samsung Galaxy S II features a 1.2 GHz dual-core chip, the Droid Bionic houses a 1-GHz dual-core chip. The iPhone 4S has brought Apple back to the top of the table, with their A5 chip offering the fastest operation of iOS yet. 2011 has not only been the year of the dual core, but also of Android. Constantly updated by Google and used creatively by designers to help mobile manufacturers include a wealth of widgets and gadgets, Android has used its flexibility to become a serious rival to Apple. Over the past twelve months it has doubled its users and even raised the profiles of some manufacturers who had lost market share. Sony Ericsson has used Android for its Xperia Arc S, a user friendly model that has won the firm back buyers, and the HTC Sensation, combining ease of information and functionality has become one of the most popular smartphones. HTC’s rise has been such that even Apple stopped charging for their Find My Phone service, as HTC offered something similar for free. With the iPhone 4S, Apple goes a long way against answering its critics who thought the company had lost its way in the face of Android dominance. In fact, iOS 5 enhances Apple’s functionality, ensuring its multitasking feature, one of the most popular attractions of the iPhone. Android’s occasional bugs can put users off. Returning with an updated, faster operating system could claw back the ground lost over the last twelve months for Apple. The iPhone 4 weakened Apple in the camera phone market, ensuring it fell behind its rivals in the smartphone sector, but with the iPhone 4S adopting an 8 megapixel camera and 1080p video, it more than matches what other manufacturers are producing. The Samsung Focus and BlackBerry Bold both have 5 MP cameras, the same as the iPhone 4. The Droid Bionic has an 8-megapixel camera. The Samsung Galaxy S II does as well. Both take bright pictures. So finally, the iPhone 4S joins the 8-megapixel trend, also with photo editing functions. All three of these guys have 1080p video recording capabilities, so you can capture whatever it is like you like to capture with your smartphone camera with exquisite clarity and detail. The real test will be battery life. Apple is keen to point out that part of the new technology for the new iPhone 4s is an “industry leading” battery life with eight hours of talk time on 3G, 14 hours of 2G talk time, six hours of browsing time, 10 hours of watching videos and 40 hours of listening to music. Apple, with the release of the 4S now has a dual core smartphone in line with the likes of HTC, Samsung and Motorola. Where Apple wins through is with the introduction of the iCloud, enabling flawless synching between all its devices. 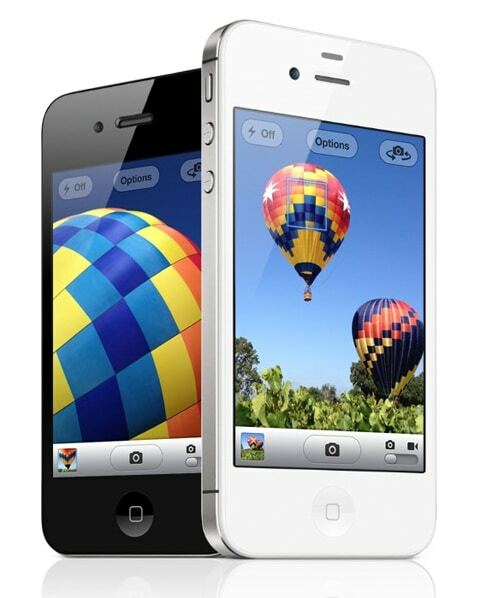 You can now win a free iPhone 4S by entering the competition at Best Mobile Contracts. So are you tempted as of now, to buy the latest Apply product which is breaking sales records across the globe ? No doubt in that these are nice excuses to buy this phone which have almost each and every thing. Definitely there will be some different experience to use this phone. The camera is really good and I highly recommend an app to the camera call Almost DSLR a totally outstanding quality do you get with this app, I have both a Nikon and a Canon system camera and with this app are Iphone 4S almost there. iPhone 4S is a really cool, camera got major improvements, but there are some issues with battery, have to wait and see how Apple responds. The battery life does sound very good and is probably my number one reason for consider buying it at the moment. However, the 1080p camera is also a great feature for sure. I love the idea of having a phone with an 8mp camera ! I won’t need to carry around my “real” camera any more. Isn’t it amazing how much a cell phone has changed over the last year or so??? Dual core would certainly be a good feature for a hand held gadget. It would raise the level of info and graphics we put on the iPhone 4, as for me – New games with higher graphic requirements can may well be played on iPhone 4s. I love iPhone. For me the best feature has to be the cute SIRI, haha! Can’t wait to get my hands on iPhone 4s. These factors are absolutely correct but have you seen the rising cost of the gadget in the past few days. The rupee is depreciating very much and that’s why the cost is going up.